Rendering 3D games is a bit of a different animal than the 2D projects we’ve been doing so far. Unlike sprites drawn on quads, 3D meshes have a lot of information about their shape. 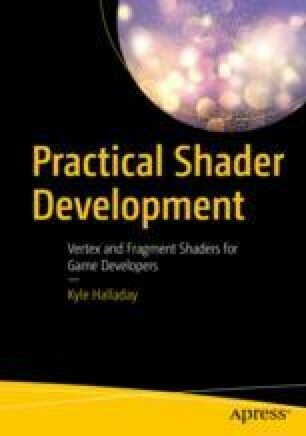 3D games can use this shape information to perform lighting calculations inside shader code, to make these objects appear to be lit in real time by the game world. We’re going to see how some of these lighting calculations work in later chapters, but first we need to have a 3D project to work with. This chapter is going to walk through how to set one of those up. We’re going to get a mesh loaded into a new project and set up a camera that can properly render 3D content.